First of all, Apple pumped up this release behind the scenes when the iPhone 7 and 7 Plus disappointed some by retaining the same design for a third year. Combine this with the 10 year anniversary of the release of the iPhone, and you naturally have a MUCH higher level of interest than normal. This is the case both for the tech press and blogs, and the buying public. It isn’t much of a secret that Apple created this beast with its own talk. Did they foresee the rumor mill churning this hard, or are they surprised at how insane and erratic the coverage has become? I actually think they had a very good idea of what would happen, but more on that in a bit. Whether they did or not, this is definitely new territory for both readers and writers, alike. Over five years ago, Tim Cook promised to “double down” on secrecy at Apple. Many tech writers and analysts dismissed his statement when the rumors of both software and hardware releases continued to flood out of Cupertino the two following years, especially at the hands of Mark Gurman, then of 9to5Mac, now of Bloomberg. However, the tide has turned decidedly in Apple’s favor in when it comes to software news. This year, there was almost nothing of substance coming out ahead of WWDC, which is a monumental shift over three to five years ago. A month ago, Philip Elmer DeWitt published a piece called Apple’s Secret War on Mark Gurman that went into detail about the measures Apple is taking to prevent internal leaks. He referenced another piece by William Turton of The Outline on a leaked recording from a meeting about controlling leaks and security (yes, this is dripping with irony). Apple has gone as far as hiring a team of ex-FBI and NSA agents to plug the holes in the dam, so I’d say that’s doubling down hard. Despite Apple’s mastery of the software leak, it is a tall order to contain the sieve of information that is the Chinese-based iPhone supply chain. There and many plants producing numerous components that go into our beloved iPhones, and all of these facilities are full of over-worked, under-paid assembly line employees who are more than happy to take a handout to deliver details, or even hardware and/or plans. Apple signs its vendors to strict agreements, and they even assist with the enforcement of these agreements, but I think they ar fully aware of how difficult it is to control a situation that is so far away, both in distance and in terms of culture. Just look at this year, when we have more hardware-based leaks than ever before. We have seen case designs, supposed prototypes, and mockups based on CAD engineering drawings. However, despite all of these leaks and so much information, a clear picture still doesn’t seem to be taking shape quite yet. There are still plenty of variations on where a Touch ID sensor will be located, or whether one will be included at all. We also have conflicting rumors about a rumored facial recognition system, and whether the software for it will be ready by the ship date. Based on Apple’s past actions, I have a few theories about the plethora of hardware rumors this year. I wonder if Apple may be shifting its strategy when it comes to hardware secrecy, and also using some tries and true techniques to manage the buying public’s expectations. First off, I look back to last year and the fact that Apple removing the iPhone 7 and 7 Plus’ headphone jack was the worst kept secret in tech. If you believe many of the top tech journalists who cover the iPhone, it was Apple that leaked this information through channels to give the tech press and potential buyers the chance to get used to the idea. This tactic actually worked perfectly. The lack of a headphone jack was a story when the iPhone 7 and 7 Plus launched, but everyone had already discussed it and thought about it so much by then that the sting was dulled. If Apple had dropped that bombshell out of nowhere during the iPhone announcement, it would have caused a lot of PR problems for them. As it was, the majority of the drama had passed by the time the new phone actually arrived. Last week, out of the blue, there were detailed rumors of “a sense of panic” at Apple. Two of the items mentioned were that the rumored wireless charging and 3D facial recognition features could be disabled at launch due to delays in software development. These are EXACTLY the kinds of things Apple might want to spin and manage ahead of time through the rumor mill. Another similar instance of Apple managing expectations, at least allegedly, was before the announcement of the original iPad. In the leadup to that announcement, we all knew that an Apple tablet announcement was coming, and we had a pretty good idea of the size and basic shape via the rumor mill. Based on the cost of the iPhone, many reputable websites estimated the starting price of the iPad would be around $1000. Then, when Steve Jobs announced that the iPad would actually start at $499, it was it big news. Was this purely coincidence? There are plenty of people who have raised suspicions that Apple floated the higher price before the announcement to make the actual price look better in comparison. Could we be seeing another instance of this playing out now? 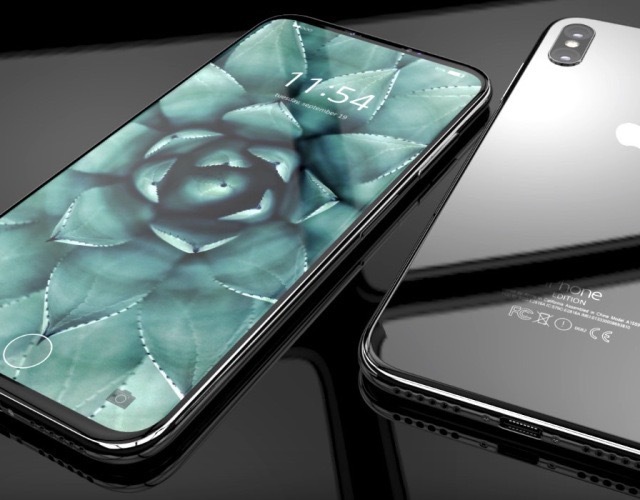 One of the persistent rumors about the iPhone 8 is that it will come with a very high price tag. I think it is very likely that Apple is behind these rumors. However, the questions is, what is the reason behind them? Is Apple trying to manage expectations by warning potential buyers of the high price before release, or are they setting us up for a surprising less expensive price tag? Only time will tell, but I feel strongly that this is all coming out of Cupertino. What I have already mentioned isn’t anything new. Apple has been suspected of leaking information for their own reasons plenty of times over the years. However, I think we may be seeing a shift in how Apple manages hardware device secrecy and rumors beyond just target leaks. Have you noticed how many different iPhone variations we have seen “leaked” this year? Have you noticed that very different designs are still either being shown or rumored only two months from release? What rumors have we seen over and over recently? Touch ID removed in favor of 3D facial scanning. Apple can’t get Touch ID sensor to work under the screen. Moving the Touch ID sensor to the back. More recently we have rumors of Apple moving Touch ID to the Power button. All of these come with hardware and phone design variations, with the Touch ID on the back version being the most striking difference, and most decisive in terms of public perception. Apple always tests multiple designs for the iPhone every year, so the presence of hardware variations is nothing new. 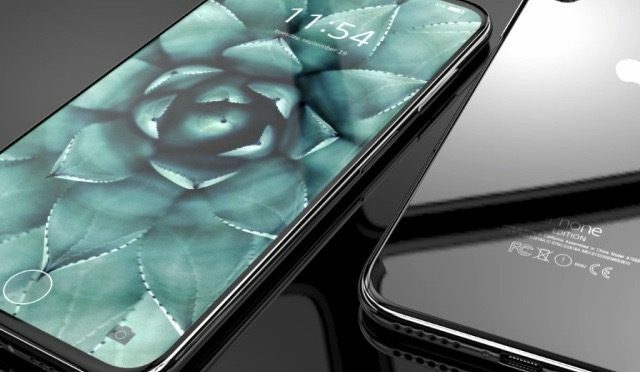 However, it IS rare that we actually see renderings or specs of so many potential iPhone variations. Is this coincidence? Are case manufacturers paying more money for a leg up on the competition? Are blogs, tech sites, or analysts paying for early intel to rake in the clicks? Another alternative theory is that Apple is actually behind all of the leaks this year, waging a disinformation campaign to simultaneously drive interest, and keep the full picture of the new iPhone hidden in a sea of variations. If it turns out that Apple is behind the rumors, it would actually be a brilliant strategy. There is really no way that they can control supply chain leaks. Just look at Samsung. They actually DO directly control a larger portion of their supply chain, and they still have the same problems with leaks of their Galaxy phone designs. If stopping the leaks isn’t realistic, then a disinformation campaign would be the most effective means available to Apple to protect their designs. I am not privy to any knowledge of what Apple is doing. This is all conjecture on my part, and I may be dead wrong about most of it. However, I think it makes sense that Apple is playing a role here.. We can definitely see shifts in how Apple is handling security and secrecy, especially in how effective they are. They have gone from steady software leaks to basically none in just a couple of years, and we know they have a crack security team in place. With such high expectations surrounding the tenth anniversary of the iPhone, it makes perfect sense to me that Apple would be exploring new methods to better protect their hardware designs. What do you think about Apple’s secrecy and security? Is Apple behind certain iPhone 8 leaks to help manage buyer expectations? Do you believe that they waging a disinformation campaign in an attempt to obscure details of the iPhone 8? Let me know what you think in the Comments below, on Flipboard, on our Facebook page, or on Twitter @iPadInsightBlog.